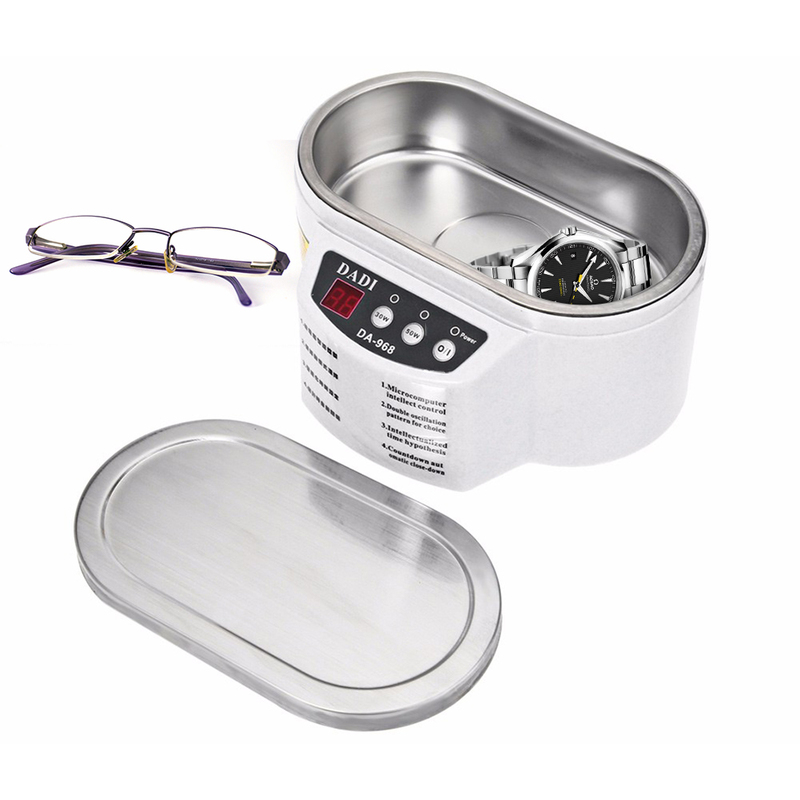 Successfully Added 600ML Exquisite Stainless Steel Ultrasonic Cleaner Digital Ultrasound Wave Washing Unit for Jewelry Glasses to your Shopping Cart. Remove dirt, dust, grease from the tiniest of places glasses or jewelry. Nondestructive cleaning, it won't make the object cause any damage. Small and lightweight, easy to carry and convenient to operate. Suitable for cleaning jewelry, glasses, circuit boards, pen, CD, toothbrush etc.